• Bordeaux restaurant, Le Pressoir d’Argent gastronomic restaurant. • 4 meeting rooms for up to 150 people. • 1000 m² Spa Nuxe Les Bains de Léa, indoor swimming pool 5m x 9m. • Located face to the Grand Théâtre over the place. 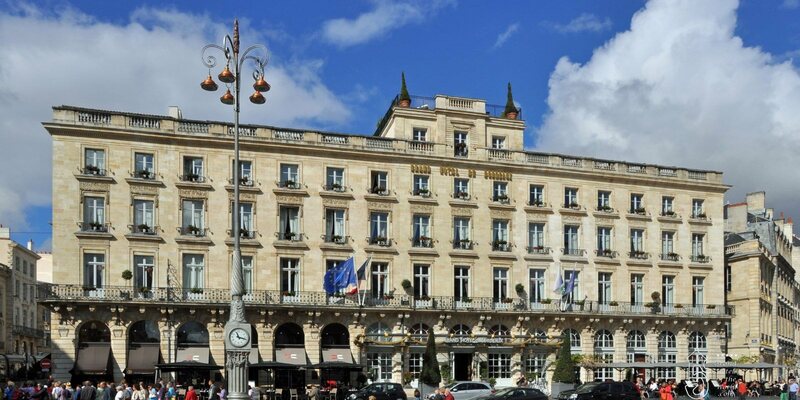 • 1776: Construction of the building by the architect Victor Louis..
• 1999: Michel Ohayon from Bordeaux buys the building with 7 other surrounding buildings and the intention to create a Grand Hotel for his city. • 2007: Opening of the Grand Hotel de Bordeaux under Regent Management. • 2012: Regent withdrawn from the Hotel Management.